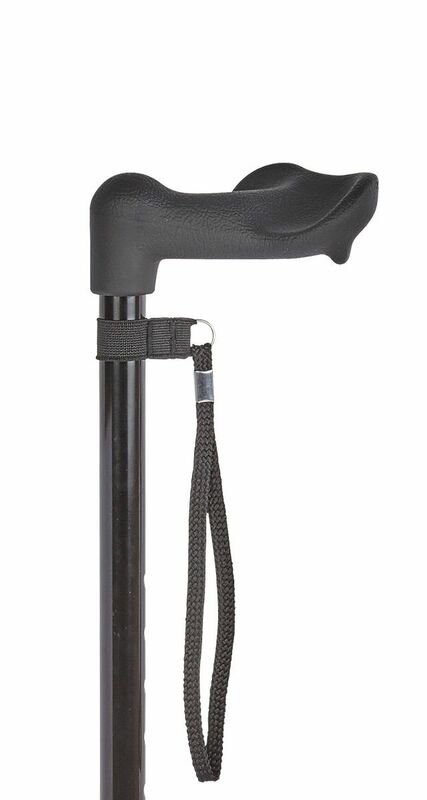 Anatomical soft grip handle adjustable stick with black aluminium shaft. This type of handle provides a natural, reassuring and comfortable grip. Rubber ferrule included. Adjustable in height from 26" to 36" (6cm to 89cm).